This is called Machine Fly, designed by Gonzalo Guerrero into a motorcycle that can fly, does not have wheels, floats above the ground, and it looked really interesting. Design by Jon McCoy, and the winner of the contest Agorapode held in April 2010.Ini seen as a brilliant design, and he was very hopeful that this is the real desainya. When you think about the future, you'll think of something all vehicles can fly. Well, if you've heard of MoonRider Flying Bike which is now the concept but then it will become a reality. This is a concept designed by Nils Poschwatta. According Poschwatta motorcycle is powered by a Wankel engine, and features adjustable parts for dynamic as well as static use. 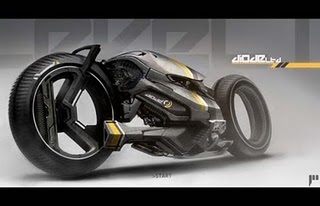 Brilliant futuristic motorcycle concept is powered by the first Cylinder Flat Honda engine. The design looks really elegant, and also features the magnetic field balancing technology. 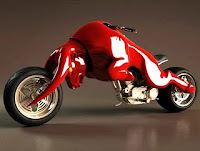 This is the Honda Club Motorcycle concept designed by Sam Jilbert .. 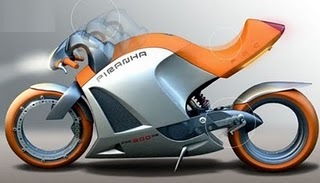 This is a conventional motorcycle concept which is supported by the Hydrogen and Fuel Cell also features a futuristic design. 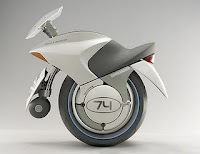 Look at the concept of this bike is really beautiful and interesting .. 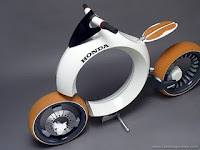 It is powered by a V-Twin engine and an electric motor .. It is elagan and powerful motor with two wheels. Motor is Designed by William Woods is very sporty, with a slouch design and has a large tank. A unique concept. This is a draft of Masscow Concept Cycles (MCC), which was inspired by the logo jaguar cars. And an example of brilliant design work. 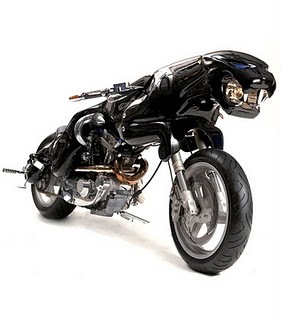 This motor is powered by a 1200cc air-cooled V-twin Buell S3 and the frame is made using steel tubing, glass fiber fairing, removable mandible that magnet, and a lamp that looks like a jaguar's head. Massow Hemmes Barrend Designer is a design concept of this bike. With a fiberglass body and a high gloss polyurethane varnish with. motorcycle design inspired by the Red Bull logo. It is a concept of the Light Cycles are used in the making of the film Tron Legacy.sungguh brilliant concept. 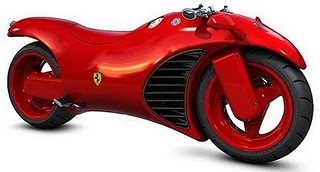 The concept of this bike is inspired from the famous car brand Ferrari. If the manufacturer Ferrari to produce it. 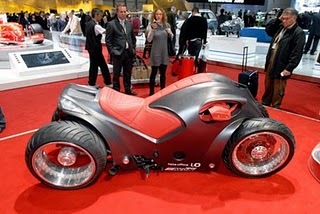 This design is really futuristic, concept Sampdesign is Leo, and the concept of this bike for a long trip. equipped with a 10kW electric motor and progressive acceleration system that will help maximize the performance of this bike. 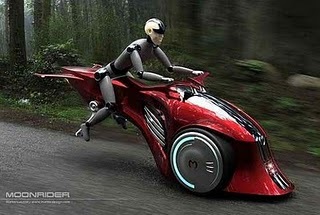 Designed by Swiss Designer Franco Sbarro, this brilliant concept seems inspired by Anime blockbuster Akira 1988. If you drive it would be very menikmatinya.dengan puma.motor body like this is very elegant. From some of the other concepts .. this bike looks the most attractive .. 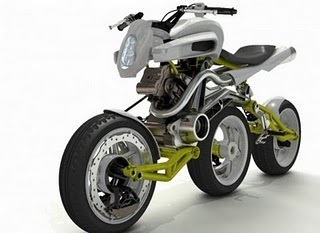 This concept is designed by Julien Rondino, and called Axial Three Wheels (A3W) by KTM LC8. Here is a futuristic concept bike with the wheels. 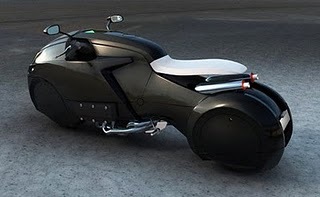 This bike is designed by Liam Ferguson.dengan ix hydrogen fuel-phase Neodymium-Iron (Nd-Fe). electric motor allowing it to reach high speeds. 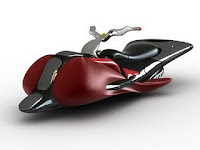 18 Future Concept Motorcycle is something highly anticipated, especially in Indonesia. a brilliant concept for bikers who have been waiting for some major changes in technology as ini. konsep motorcycle modification will have some designs that really interesting and ideas remarkable for future automotive world.